A Las Vegas jury was excused from an Actos trial after plaintiffs and defendants reached a resolution agreement. In addition to the two plaintiffs involved in this case, thousands of other plaintiffs across the country are now participating in an Actos settlement reached in April regarding the diabetes drug. The recent trial involved allegations that two men, Maurice Iorio and George Decou, developed bladder cancer after taking Actos. Iorio died in November 2013 from complications arising from his bladder cancer. His widow, Mary Iorio filed the lawsuit on behalf of her deceased husband. Iorio’s case was consolidated with the lawsuit filed by George Decou in June 2013 in the Clark County District Court, due to similar allegations and statements of fact between the two cases. The confidential agreement ended the product liability case that began approximately two months ago in the Las Vegas court. The judge presiding over the trial, Judge Jerry Wiese II, told jurors that Actos manufacturer Takeda destroyed information related to these lawsuits and others – information that jurors could presume would have benefited the plaintiffs. Jurors also heard from counsel for the plaintiffs that Takeda put profits over patient safety, by hiding information about an increased risk of bladder cancer with long-term Actos use. When the agreement was reached, lawyers pointed out to Judge Wiese that the agreement was a resolution, rather than a settlement. Because the terms of the resolution were confidential, plaintiffs refrained from offering any details of the agreement to local media. Lawyers also declined to offer a statement on the resolution. Originally, the plaintiffs had sought a $2 billion verdict against Takeda. 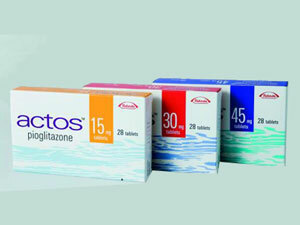 Actos was first available in the U.S. in 1999, offered as a treatment for type 2 diabetes when other medications were not effective. The drug works by making the body more sensitive to insulin, which helps to regulate blood glucose levels. However, reports of bladder cancer associated with the drug led to concerns among members of the medical community as well as diabetes patients. In 2010, the FDA issued a safety communication regarding Actos, warning that use of the drug for one year or longer could lead to an increased risk of bladder cancer. People who had been injured by Actos began filing lawsuits throughout the country, alleging Takeda failed to provide proper warning about the risks linked to their drug. Thousands of federal lawsuits were coordinated into multidistrict litigation (MDL) in Louisiana District Court, in order to streamline early trial proceedings for a growing number of cases. In April 2014, Takeda proposed a settlement agreement that would resolve the lawsuits for the large majority of those plaintiffs. The settlement went into effect in October 2015, once a sufficient number of plaintiffs (95 percent of those involved in the MDL) agreed to the settlement terms. Lawsuits filed in other courts, such as the case in Las Vegas, continue to be heard and decided on an individual basis. However, some of those plaintiffs may also be eligible to participate in the settlement, based on the terms listed in the Actos Resolution Program.